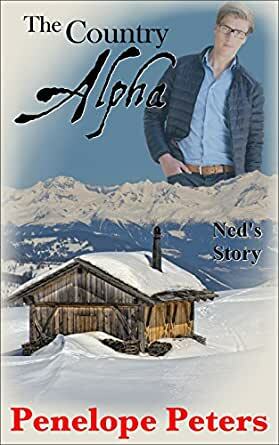 The Country Alpha: Ned's Story (The Downing Cycle Book 2) - Kindle edition by Penelope Peters. Literature & Fiction Kindle eBooks @ Amazon.com. One text is all it takes to spin a life into a different direction. After a devastating accident, alpha Jake Downing has set aside his dream of hockey stardom, and narrowed his choices down to one—life as a hermit on a mountain in the middle of nowhere, with no city, no strictures of society, and especially no omega. He just needs to take one trip into the city – and then he’s free. Within hours of his arrival, however, a single text message will twist the course his life takes, spinning his life in two alternate realities – determining not only the ownership of Jake’s mountain, but also the person with whom he might end up sharing it. This is how the story might go. In this reality, Jake gets his mountain, but he also gets Ned Reilly, an omega whose secrets have been ripped away one by one. The whole city knows why Ned’s first alpha broke their bond—or thinks it does. The whole city is wrong. No one’s ever taken Ned seriously before—except the one man Ned can’t afford to ignore. Now Ned’s life is at stake… and Jake’s mountain might just save them both. Sometimes love is just a matter of circumstance. One night in the city, one inexplicable bond formed in a moment of passion, will bind Jake to the person destined to be his mate. Only their growing faith in each other will keep them from being torn apart. The Country Alpha is a story told two different ways. The Country Alpha: Ned is m/m non-shifter paranormal mpreg romance. One of my favorite reads. Loved Ned he is funny and smart. This book has one of the clearer constructed and explained worlds(although maybe that comes through more when you read all 3 more) . Liked the fact that there are actually females with lives and loves in this world that are part of the story as I think it gives the world more depth. There is a "What If" story, and I did like that one too, but I think I could read about Ned doing dishes and it would be good. Hopefully there will be more as I of want to know what happens to some of the other Omega's. 5.0 out of 5 starsDo yourself a favor, read this book. I love this book! If you have read the 'The Country Omega (The Downing Cycle Book 1)', the previous book in this series, you'll know some of the secondary characters, and will probably be as happy as I was to be revisiting the Valdez clan, Larissa, and the Downings.You don't need to have read it to fully enjoy this one, but why wouldn't you' It's fantastic! Anyway, from the very beginning, I fell in love with Ned. He's such a relatable character, complex and compelling. Smart, and brave, ready to fight for what he feels it is his right, putting an appearance of conforming to the expectations of his gender while he is subverting them. Ned and Jack's relationship grow slowly, against their own wishes while both of them are struggling with their demons. And, if this wasn't enticing enough, we also have a mystery! And a very good one, that's for sure What's really going on between Ned and Angel? What does Angel really want? In how much danger is Ned? So, in short, I got trapped by the story, felt in love with the protagonists and I actually devoured the book. because I simply couldn't. Put. It. Down. Penelope Peters writing is compelling and humorous; hot and sweet in the exactly right amounts to make the reading of any of her stories a delight. 3.0 out of 5 starsSo. Much. Boring. Fluff! There were more conversations held with random family or other people than there were between the two main characters. And they weren't short either! Going on and on about nothing! It was like the main romance plot was just an after thought to a bunch of boring text. I can't say I hated this novel or even that I didn't like it. I DID like the story between Jake and Ned, it was all the extra crap that was boring and trite and BORING that I disliked. I'm going to have to agree with one other previously written reviews about the extra padding in this story. I ended up skimming a good bit throughout this story. Once you get passed the unnecessary parts, the story is pretty good. If I'm going to sit for hours reading a book, I would prefer not to have to pick through it because sections in there don't actually affect the flow or dynamic of the story. I would like to learn more on the two couples more so the first pairing. 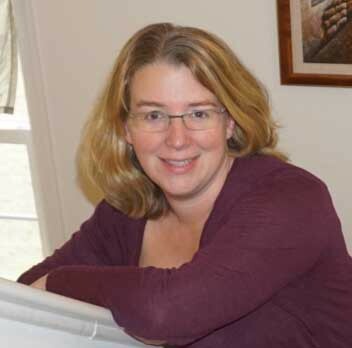 "I read a free ARC copy of this book in exchange for an honest review." I really enjoyed reading this book. I was so happy to see Ned being able to get pregnant after the fail of his 1st mating. When Jake & Ned were at the cabin and Jake went out to look around because Ned was upset that he could feel something wasn't right. I was hoping that nothing bad happened to Jake. Penelope is a very good writer and I can't wait to read more of her books. Keep up the great work. I was glad when I saw this published and really enjoyed it. I like a lot of the characters introduced in this story as well as the love/hate relationship of the protagonists. I liked the returning characters especially Antonio's parents. I hope we get a story where the Ethan finally gets preggers. 4.0 out of 5 starsWill you run away and hide with me? This was a really fun read. An omega and an alpha. A mountain with a remote cabin. Threats to a new love. A really good story about life after a career changing injury and standing up for what one really wants. 5.0 out of 5 starsDelightful story! Delightful story! I really enjoy the richness of the universe the author has developed here - the little details elevate it above a simple Alpha/Omega fated romance. Ned and Jake make a great couple, and the final confrontation with the villain was exciting. Nicely done!